"I have recommended Amy on multiple occasions to my clients who needed help with their web site or brochure content. She does an excellent job, and my clients are always very happy in the end. Thanks, Amy, for helping us look better in our client's eyes!" Families come in all shapes and sizes, each with their own set of characteristics, challenges and unique needs. That’s why American Advisors offers three different membership options specially designed to meet the needs of any type of family. 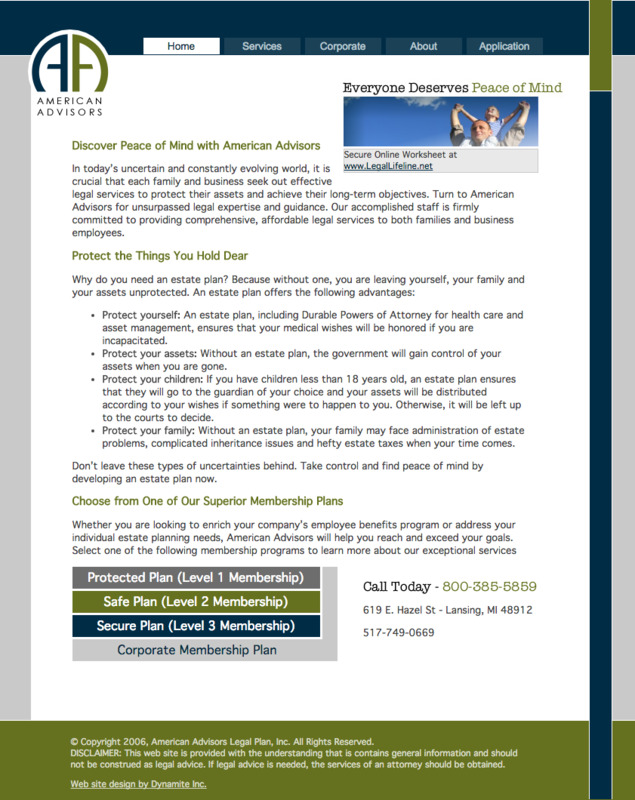 Offer your family peace of mind with one of the following family membership plans. If your needs change in the future and you require more than a basic will and Durable Power of Attorney, we can help you build an estate plan. The American Advisors Legal Plan will allow you to apply 100% of your initial membership costs toward an estate plan upgrade. Contact us for more details about this simple upgrade.